John is a longtime West Coast-based baseball writer who covered the Oakland As for two decades with The (Hayward) Daily Review and the Oakland Tribune. He headed north in 2000 to cover the Mariners for the Seattle Post-Intelligencer, starting on the day Ken Griffey Jr. was traded to Cincinnati. After the print P-I closed in 2009, he joined the national sports staff of AOL FanHouse and contributes to Seattlepostglobe.org. He is a longtime baseball correspondent for the Tokyo Chunichi Press. A member of the Baseball Writers Association of America (BBWAA) for two-plus decades, Hickey is a Hall of Fame voter. When hes not covering baseball, he has written about pro football, college sports, tennis, golf and winter sports. A University of California grad, Hickey is a fan of rock and jazz music, traveling, reading and cooking. He proved in high school that hes no athlete, but he does like to ski. Hickey and his wife live in Seattle in a house ruled by two magnanimous cats. 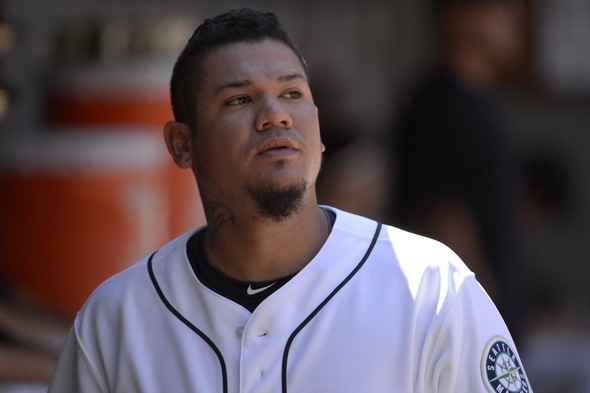 OAKLAND – As much as any team other than the one he plays for, the Oakland A’s have been responsible for seeing that Felix Hernandez has never appeared in a post-season series. Sunday, they may have done it one more time in what was a make-or-break game for Seattle. OAKLAND – There are times when baseball looks easy. Thursday night looked easy for Seattle, a 7-1 win over the A’s on the road. Jump up with a five-spot in the first inning, then coast home. There are other times when nothing looks easy in the slightest. OAKLAND – There are, of course, no must-win baseball games on Aug. 15. Not with a quarter of the season still to play. For the Mariners, however, Wednesday in the Coliseum came close to breaking that rule. 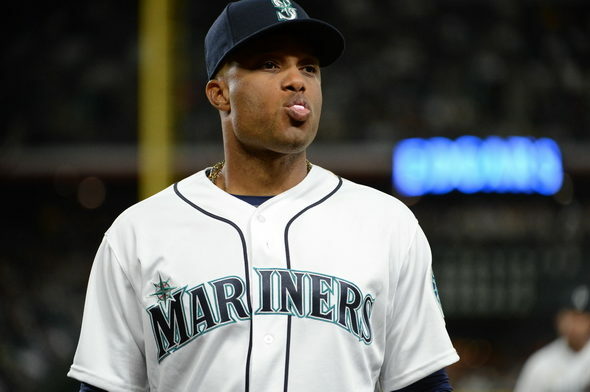 OAKLAND – The Mariners headline Tuesday night against the A's at the Coliseum was supposed to be the return of Robinson Cano after his 80-game drug suspension. But that storyline took an early beating in what became a tough 3-2 loss for Seattle. James Paxton, the left-handed ace of the starting rotation, lasted three batters. Oakland 2B Jed Lowrie hit a laser up the middle that caught Paxton on his left arm. OAKLAND – Everything you needed to know about how the Mariners feel about Robinson Cano's return after his 80-game drug suspension could be judged by the composition of the Coliseum interview room at the start of his media briefing Tuesday, ahead of his first game back with Seattle since May 13. There were nearly as many Mariners as there were media members. The Mariners lost that May 13 game, 5-4, and lost Cano when a pitch from Blaine Hardy broke a bone in the second baseman's hand. Two days later, the baseball world was rocked by news that Cano tested positive for a banned diuretic, the masking drug furosemide. 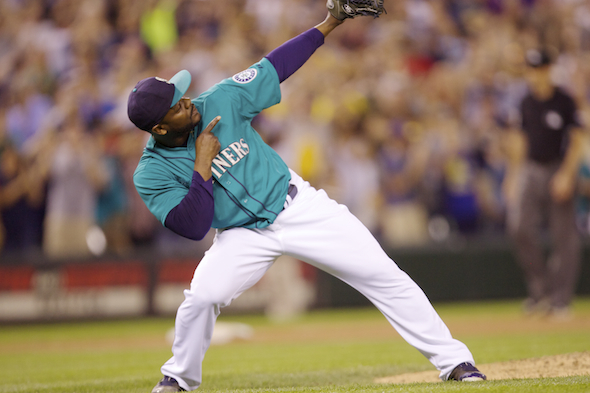 The Seattle Mariners had a guy in their system in 2009 with some serious offensive promise. His name? Mike Morse. He came up in 2005 and played bits of the next four seasons in Seattle, but never saw a 2009 big league game with the Mariners. It was in the middle of that season that first-year general manager Jack Zduriencik, feeling the need to get a more balanced defensive player, dipped into Triple-A Tacoma roster. Just like that, Morse was dealt to the Washington Nationals. There will be a new look to Safeco Field in 2013, with the walls from the left field corner to right-center coming closer to the plate. 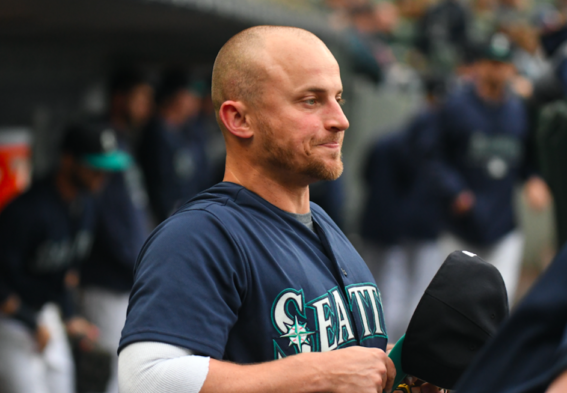 The cozier distances are going to make it tougher on fly ball pitchers, and that’s one reason the Mariners traded veteran left-handed starter Jason Vargas to the Angels Wednesday. Vargas has a great history in Safeco – 21-20, 3.38 – while he’s 21-30, 5.10 everywhere else. It’s been four years now that Jack Zduriencik has been at the helm of the Mariners. He brought home a winning record in 2009, not since. 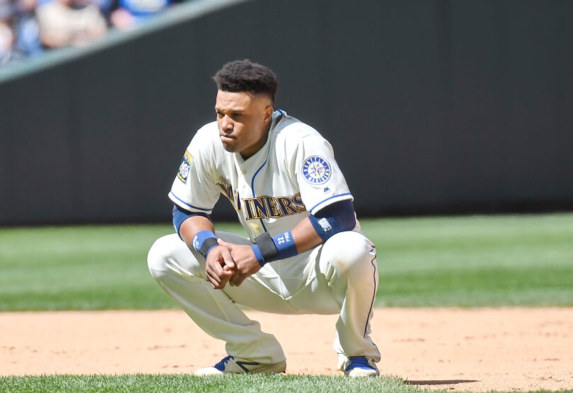 In the ensuing building process over the past three seasons, the Mariners have been more than occasionally difficult to watch. So with the winter meetings, baseball’s prime-time off-season swap-a-thon, starting Monday in Nashville, one question facing the Mariners is whether Zduriencik feels pressure to knock one out of the park. Free at last. Free at last. Free at last. That describes Chone Figgins, released with one year left on his contract. It also describes the Mariners, who won’t have a veteran with no future clogging up the roster. No one wearing a Mariners uniform in 2013 has more of an uphill battle than Dave Hansen. A two-time Mariner as an infielder and pinch-hitter, Hansen was named hitting coach Monday, replacing Chris Chambliss, who was let go at the end of another of a series of unproductive seasons for the offense. From the first game in July 1999, there have been complaints from hitters and from fans of hitting about the spacious dimensions of Safeco Field. Through good offensive years and bad, the criticism hasnt gone away. Safeco is too tough on right-handed hitters, some said. Others would bemoan the way the elements conspire to keep the ball from going over the fence. In the middle of election season, one is led to wonder what Major League Baseball franchises might be like if they were like a democracy subject to a vote. Imagine if the sports public, which supports the franchise with taxes and fees in the same way the electorate supports the government, had the opportunity to convey or withdraw legitimacy on the local squad. Below is our suggested ballot, with a preceding pamphlet for voters. If Mike Zunino comes to the Mariners spring training came in 2013 with a chance to make the big league roster, will you be surprised? You shouldnt be. Not after Zunino, the third overall pick in the June draft out of the University of Florida, hit .373 with 10 homers and 35 RBIs in 29 games playing rookie league ball with Everett, then went to Double-A Jackson and hit .333 in 15 games with three homers and eight RBIs. Outfielder Sam Fuld could have been grinding his teeth after his Tampa Bay Rays lost a 1-0 decision after Felix Hernandez showed his Kingship Wednesday with baseballs third perfect game of the season. But it would have been little more than screaming into the darkness. Fuld chose to embrace the moment. Retooling of the Good Ship Mariner never ends. Even with Seattle owning one of the best records in baseball since the All-Star break, the Mariners arent going anywhere. So in the wake of Mondays 4-1 win over Toronto, in which Hisashi Iwakuma struck out 13 Blue Jays, the highest-scoring team in the majors, the club started dismantling its bullpen. 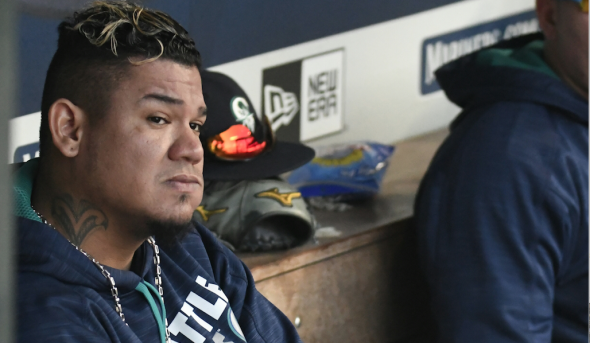 In his last start, Felix Hernandez threw a pitch that fractured a bone in the left hand of Alex Rodriguez of the Yankees. Sunday, the Seattle starter got a little reverse mojo. He was hit by a pitch on his left hand, just about at the same spot where Rodriguez was hit. But by fortunate happenstance, Hernandez wont miss a start; Rodriguez could miss two months. The mid-season mini-calendar is turning, page after page, for the Mariners. The time between the All-Star break and the July 31 trade deadline is about more than the chatter last weekend over whether Ichiro will be back in a Seattle uniform in 2013 and beyond. The local mid-season analyses of the Mariners share a similar dour view. Sometimes its worthwhile, however, to take a step back and let an outsider offer a look. It's easy to be consumed by the split between the .197 team batting average at home and the .259 batting average on the road. Does Safeco Field really matter so much? 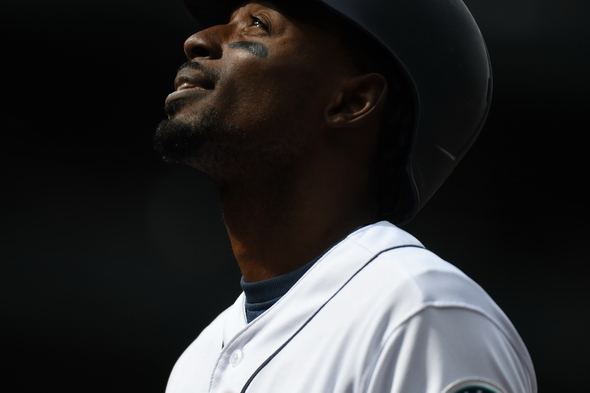 Are the Mariners really so schizophrenic? Are we schizophrenic?